Packers place Aaron Jones on I.R. After suffering a sprained MCL in his right knee in Sunday’s loss to the Bears in Chicago, the Green Bay Packers have placed running back Aaron Jones on injured reserve, officially ending his season. It’s the second straight season that Jones couldn’t finish the season because of injury. The Packers claimed running back Kapri Bibbs off waivers from Washington on Monday and he will serve as the backup to Jamaal Williams, who will take over as the Packers starter. Taking Jones’ spot on the roster is wide receiver Allen Lazard, signed off of Jacksonville’s practice squad. Lazard is an undrafted rookie from Iowa State that has not seen anytime on the Jaguars active roster. Jones finished with 728 yards on 133 carries with eight touchdowns. His 5.5 yards per carry average ranked first in the NFL. 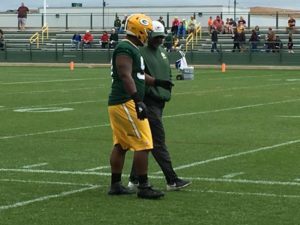 According to NFL Network reports, the Packers are also expected to place defensive lineman Kenny Clark (elbow) on injured reserve. 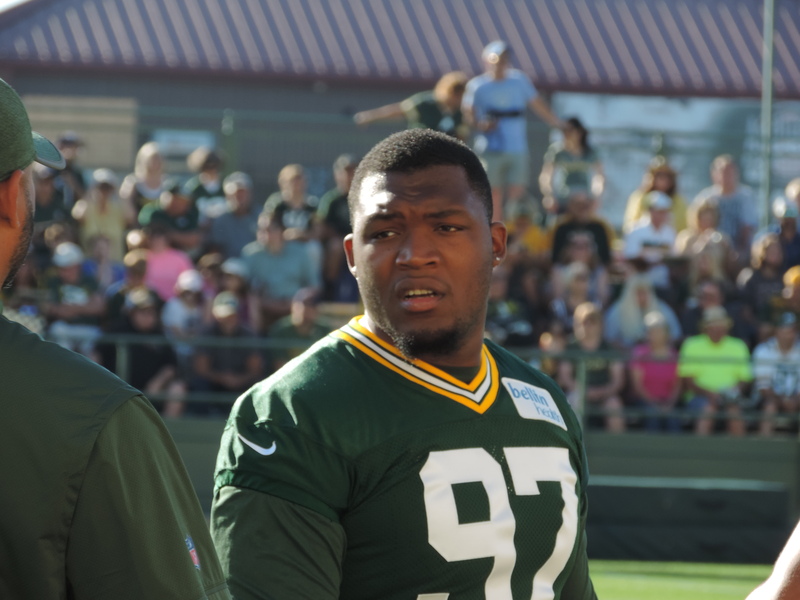 Nose tackle Kenny Clark’s second season with the Green Bay Packers has been rock solid. 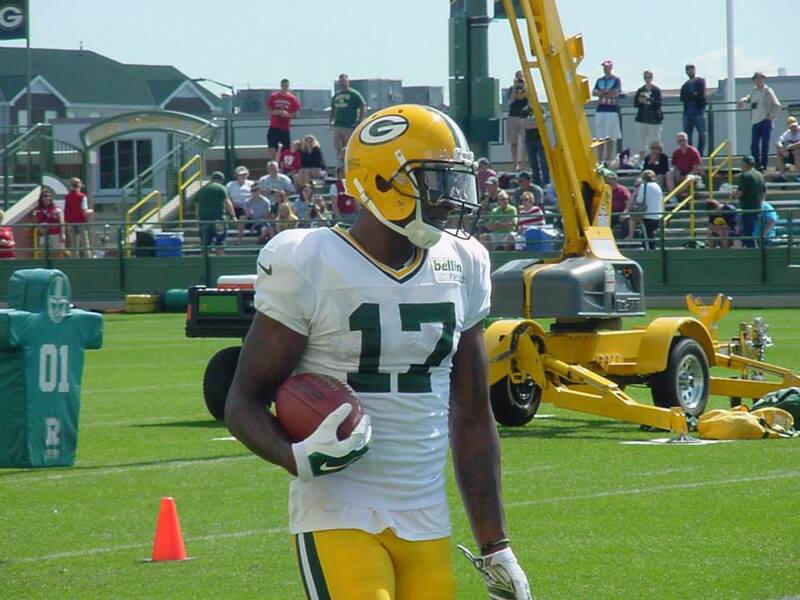 When he left the field Sunday on a cart, the Packers were hoping they didn’t lose him for a significant portion of time. 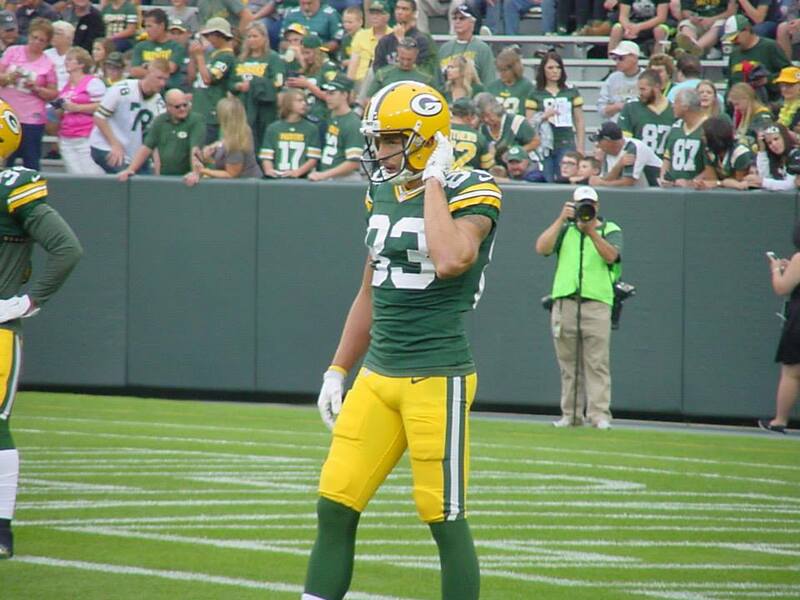 Coach Mike McCarthy on Monday called the injury “unnecessary” during his news conference. 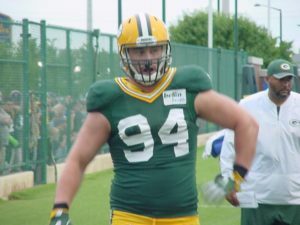 The Green Bay Packers open their 3-day mandatory minicamp at Clarke Hinkle Field on Tuesday and for the second straight year, Aaron Rodgers and a number of other veteran players won’t be there. Coach Mike McCarthy has excused veteran players with five or more years of NFL experience. Those players won’t be back until the start of training camp in late July. For the first time since being drafted with the top pick in the second round, defensive back Kevin King (pictured), will join his teammates on the practice field in Green Bay. 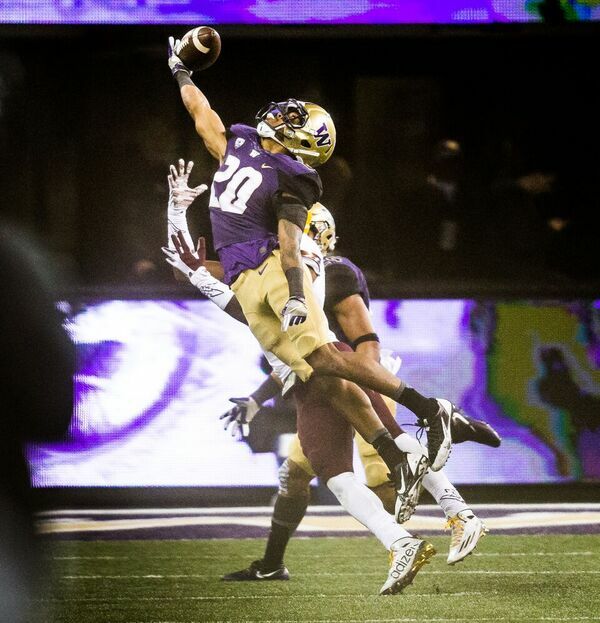 The University of Washington is finally out of session, which means King can join his new team. He had been spending time with his position coach Joe Whitt on FaceTime as he tried to keep up with the defense from a distance. He was barred from participating in OTA’s because of the NFL rule that says rookies can’t attend OTA’s if their schools are still in session, even if they are no longer enrolled. 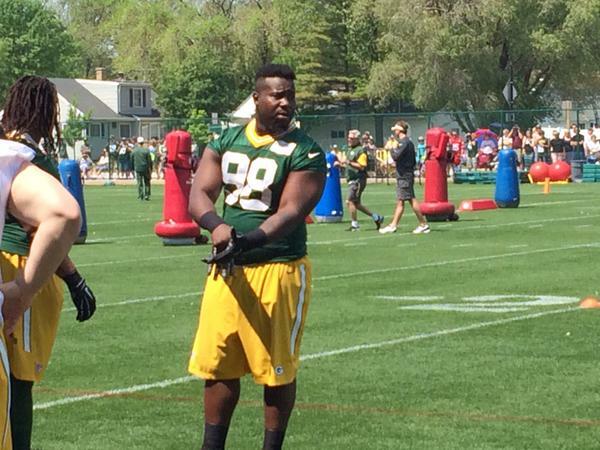 it’s the second straight year the Packers’ top draft pick was away from OTA’s. Last spring, defensive lineman Kenny Clark used Skype to get a crash course on the defense from line coach Mike Trgovac. 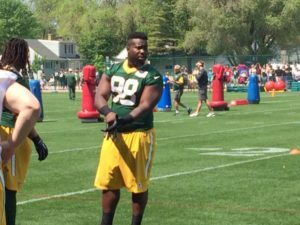 The NFL announced on Tuesday that Green Bay Packers defensive tackle Letroy Guion will miss the first four games of the upcoming 2017 season for violating the league’s policy on performance-enhancing drugs. 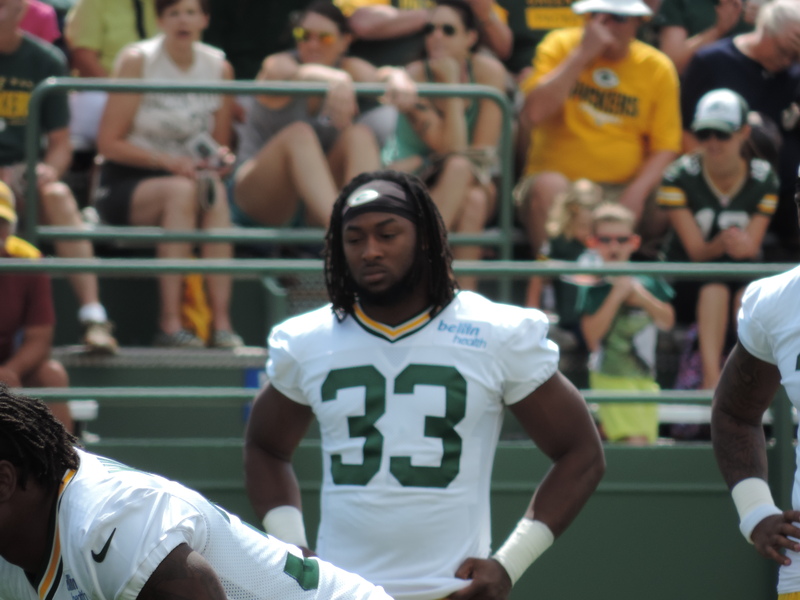 It’s the second time Guion has been suspended for violating the substance-abuse policy. He sat out the first three games of 2015 after being arrested for possession of marijuana in his hometown of Starke, Florida. The Green Bay Packers announced the signing of their first-round draft pick Kenny Clark, completing their 2016 draft class. It was just 24 hours earlier that Clark was asked by reporters if he was concerned about getting a deal done anytime soon. Clark said his agent was talking to the Packers and he assumed the two sides weren’t very far apart. Clark was one of just five first round picks around the league that started the day on Friday without a deal. Clark’s deal leaves just four. The others are the third overall pick, end Joey Bosa to the Chargers, the 20th pick, linebacker Darron Lee by the New York Jets, the 21st pick, wide receiver Will Fuller to Houston and the 28th overall pick, offensive lineman Joshua Garnett to San Francisco. 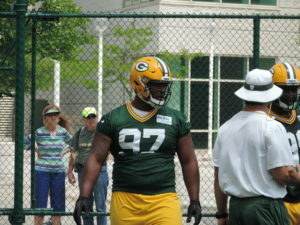 It means the Packers will have all of their draft picks in the fold for the start of training camp on July 25th. 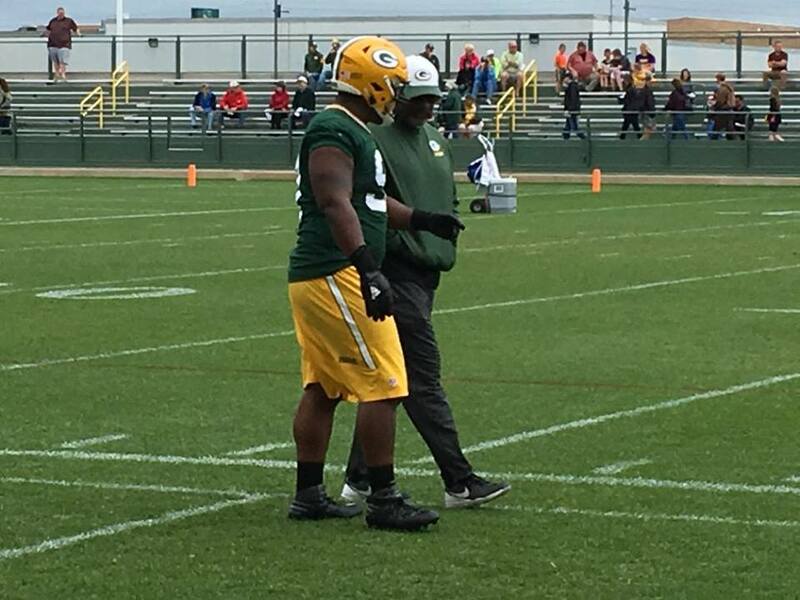 Green Bay Packers first round draft pick Kenny Clark is one of five first round draft picks around the NFL that is yet to sign a contract. But Clark said this week that his agent is talking with the Packers and he didn’t think the two sides were very far apart. The other first round picks without deals are: San Diego end Joey Bosa (No. 3 pick), New York Jets linebacker Darron Lee (No. 20 pick), Houston receiver Will Fuller (No. 21 pick) and San Francisco offensive lineman Joshua Garnett (No. 28 overall). 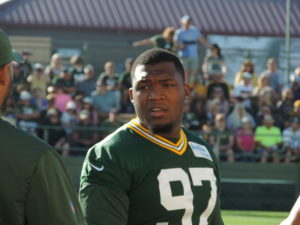 Clark should get his contract done before players report for training camp on July 25th. The Packers haven’t had a rookie holdout since the rookie salary pool was instituted back in 2011. 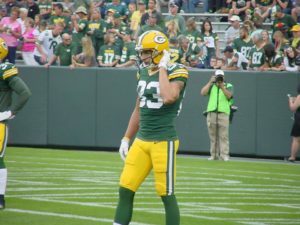 While Clark believes the two sides are close, it would appear that Clark’s agent, Jerome Stanley is looking to structure the deal differently than what the Packers have in mind.